3 What kind of sentence could I receive? 4 What is a sentence? Ohio Felony Penalties are generally based on the level offense. In Ohio, there are five levels of felony crimes ranging from F1 to F5, with a Level 1 felony charge, such as murder, being the most serious and therefore carrying the most serious penalties. Below is a chart of potential felony penalties. Because of the serious potential penalties from felony charges, protecting your rights with a Columbus criminal lawyer is essential. What kind of sentence could I receive? There are many options a judge has for sentencing on an Ohio felony crime. These options include prison time, monetary fines, probation, counseling, community service, and other options. Each case is different and no two defendants will face the same penalty. An effective criminal defense attorney is important at this stage. Mr. Burke will fight to have your case dismissed if possible. 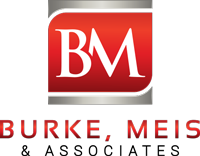 If your circumstances warrant a plea bargain, Mr. Burke will present all mitigating factors so that you receive the best possible sentence under the circumstances. If a defendant is found guilty of a felony crime at trial or pleads guilty prior to trial, the judge determines the appropriate sentence, which is the penalty for the criminal conviction. After the trial or plea, the defendant goes back to court with a criminal defense attorney for a sentencing hearing. At the hearing, the prosecutor speaks on behalf of the State for the penalty the State suggests for the crime. Then, the criminal defense attorney speaks on behalf of the defendant to attempt to “mitigate,” or lessen, the penalty, based on many factors. For instance, the defendant may have had no prior offenses. This would affect the level of penalty that is imposed. Attorney Adam Burke is an affordable Felony Defense Attorney in Columbus Ohio who will give your case the serious attention that it deserves. Call now for a free consultation with Attorney Adam Burke. Please call us at 614-280-9122 to assist you with your case.